ST-YGF series cooking oil filling machine has two different kinds for choice,rotating and linear. Filling volume is between 250ml and 2000ml.Intelligent control with LCD make the filling accurate and no leaking. A overload protection is designed at the star-wheel, where the bottles are in and out. When something wrong, the protection device will alarm and stop the process. 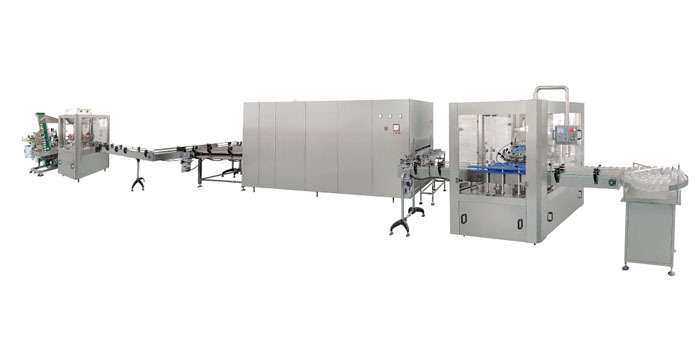 The cooking oil filling line consists of cooking oil filling machine , washing machine,tunnel sterilizing,labeling machine and packing machine. 1.Germay SIEMENS PLC and touch screen control make it intelligentize protection function. 2.Vacuum anti-dropping device ensures no leaking situation in production. 4.Each filling head has the weigh and feedback system. Each filling head can be regulated.